Nice rustic hostel ... Our family of four took the train to Huancayo and stayed in two rooms for three nights at rustic Samay. It is a three-story house with very well finished bathrooms, hot showers on every floor. It has over 300 m2. It is garage, green, indoor and outdoor gardens with some fruit. We are in the same urban city of Huancayo, near the train station, buses, markets, craft fairs, restaurants, entertainment centers, banks and other services offered by the largest city in central Peru. In samay provide specialized orientation and tour guide by anthropologists in the region. With them we will go down in history, cosmology, philosophy and lifestyles of our Andean and Amazonian peoples to enjoy their stay in intensive part of multiculturalism. Comfortable rooms with clean beds, Comfortable room with TV. DVD, internet, free kitchen: coffee, tea, aromatic herbs free, 24 hours hot water, economic bar, game table: fulbito, laundry, car and bicycle rides. Packages with direction and guidance of anthropologists in the region, learning Quechua. Single room (private) spacious, comfortable, with shared bathroom with large windows overlooking the garden, the city or mountains. Rooms with two beds wide, comfortable with shared bathroom with large windows overlooking the garden, the city or mountains . large room with three beds, comfortable with a shared bathroom with large windows overlooking the garden, city or monatañas. 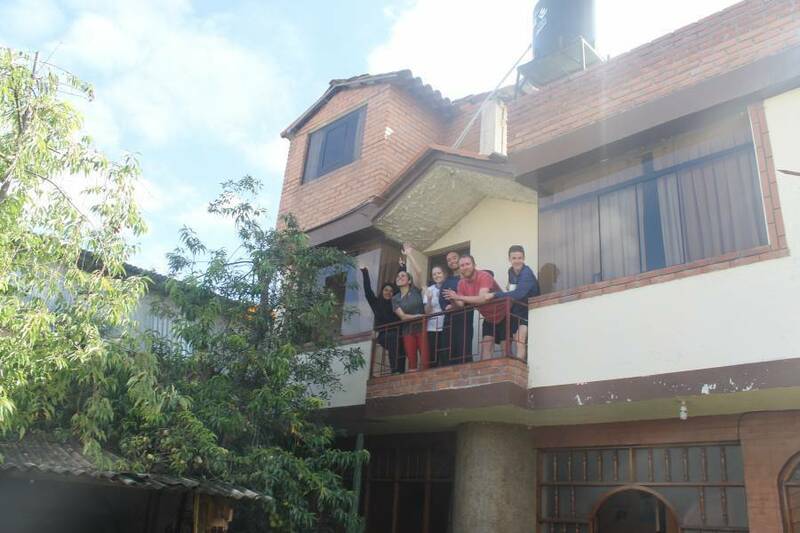 SAMAY is in the urban area of ​​Huancayo, 8 blocks from Constitution Square (downtown). Near the train station, buses agencies, restaurants, markets, fairs, amusement centers, banks and other public services in the city. To reach for the first time is recommended SAMAY into a taxi should arrive between 8 and 20 minutes because the bus agencies are in different parts of the city. For this service, pay only 3 or 5 soles. From the train station you can walk and we are just 7 blocks. For your convenience, you can samay happy to pick up the travel agency, you should only call or write us at Email. The best reference is to reach the street SAMAY Giraldez block 9, height of the Obelisk which is also Leandra Torres Av. One block from the Obelisk is continuing by Giraldez Jiron Florida to the left. SAMAY is very close to downtown, you get just walking in 8 minutes. It is advisable to approach a taxi first. There are also minibuses and cars service of urban buses that go to the "hill of freedom." You just have to get off at the corner of Av Giraldez and Florida Jr.